Local roots. Passion for the community. Expanded regional impact. Born and raised in Tallahassee, Bruce Wiener has focused his practice on the growth and development of Tallahassee, Leon County and other parts of North Florida. In fact, Mr. Wiener has more than two decades of experience practicing as a real estate lawyer in Tallahassee and across the state. His work has involved transactions representing buyers and sellers in the purchase and sale of commercial, office, multifamily, residential, acreage and timberland property. Of late, his real estate practice has extended deeper into Central and South Florida. Following graduation from Leon High School, Mr. Wiener attended Vanderbilt University and then returned to Tallahassee to attend the FSU College of Law with the desire to practice law in his hometown. He developed a passion for law and real estate at a young age, and upon seeing the completion of several development projects he was involved in, his career path was set. So, it should come as no surprise that his practice now focuses on transactional real estate law, commercial lending and land use. Board Certified in Real Estate by The Florida Bar since 2002, Mr. Wiener is currently the managing partner of the Tallahassee office of the newly combined Nelson Mullins Broad and Cassel law firm. Effective today (Aug. 1, 2018), Broad and Cassel LLP combined with Nelson Mullins Riley & Scarborough LLP, bringing together 725 lawyers and policy advisors to create a top Am Law firm operating in 25 offices across 11 states and Washington, D.C. In Florida, the firm is known as Nelson Mullins Broad and Cassel. The combined firm has a significant presence along the Eastern Seaboard, including in Florida, Georgia, South Carolina and North Carolina. In Tallahassee, the firm will build off its already deep real estate bench with the ability to serve clients from a broader geographic footprint. All told, the combined firm results in a litigation practice with more than 400 attorneys; a corporate practice with more than 175 attorneys; a real estate practice of more than 100 attorneys providing experience across the industry spectrum; and a healthcare practice with more than 50 attorneys providing clients with expanded transactional, regulatory, and litigation capabilities. Specialty practice areas include higher education, white collar, trusts and estates, public finance, construction, and affordable housing tax credits. 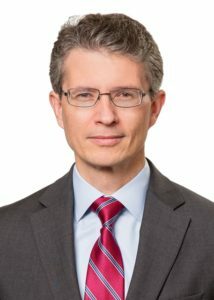 In addition to his role in real estate development across the region and management of the Tallahassee office, Mr. Wiener has played an active role in various legal and community organizations, including the Tallahassee Chamber of Commerce. More specifically, he gives back to his law school alma mater where he not only credits the start of his professional career but also his personal relationship with his wife, Wendy, who he met during their first year of law school. They both currently serve as members of the Board of Visitors of the FSU College of Law and are law partners. To learn more, visit www.nelsonmullins.com.